Burch Propane customers value the personal touch we provide, a quality that many propane fuel companies don’t offer these days. 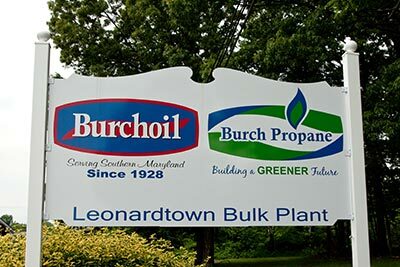 We’ve been looking after our friends and neighbors in Southern Maryland since 1928 when S. Bernard Burch founded our Burch Oil company. Today, five generations later, we are still family owned and operated. And we are still committed to treating you as a part of our family. We always put the customer first, no matter how challenging the winter or turbulent the world energy markets. Our long-time company standards – excellent customer service, a tradition of caring, and a reputation for responsiveness – continue to guide us today. In addition, we are always seeking the latest products to offer, introducing new programs and refining our services so we can bring you modern value while still delivering an “old-fashioned” personal touch. We value the relationships we have with people in the community, working side-by-side with customers as neighbors and friends. We are committed to supporting local projects and organizations, including Christmas in April, the Chamber of Commerce, Southern Maryland Navy Alliance, St. Mary’s Hospital, Lions Clubs, fire departments, rescue squads, colleges, and more. We welcome the opportunity to bring you year-round comfort. We make every day a great day to be a Burch Propane customer.